• Fully cast iron construction with an extra wide lathe bed. • The cast iron headstock rotates to 360° with 7 pre-set positions. • Extended spindle nose houses dual headstock spindle bearings. • Improved tailstock quill locking mechanism. 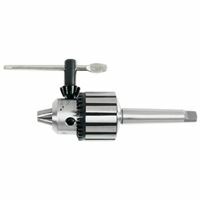 • Tailstock features Acme threads for smooth and precise movement. • Electronic variable spindle speed control 40-3200 rpm. • Headstock locking available from the front of the lathe. • Tool holder on a stand under the headstock. • Conveniently placed digital speed display. • Rubber shelf on the top of the headstock. The new JWL-1640VS Electronic Variable Speed Woodworking Lathe is loaded with cutting-edge features that distinguish it from others in its class. Included is a sliding headstock that also pivots 360° and features 7 pre-set positions. This allows for comfortable turning of larger pieces like trays or bowls. Electronic infinitely variable speed from 40 – 3200 rpm. Newly designed headstock locking handle is placed on the front side so you no longer have to walk to the back side of the lathe to release the headstock. The headstock is placed in an extended spindle nose with dual bearings allowing stronger hold and stability of the workpiece. The headstock features 36 indexing positions. The top of the headstock is fitted with a rubber pad to put aside your tools comfortably. The headstock is powered with a powerful 1,1 kW motor offering high torque in a wide range of speeds. The comfortable speed regulation is secured by a frequency inverter with an inbuilt EMI filter connected to a digital display. The display is conveniently placed on the front side of the headstock. The tailstock uses a high-quality and proven Acme thread improving it's movement, accuracy and set-up. 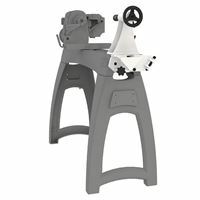 The tailstock is robust and features a new wedge locking system. 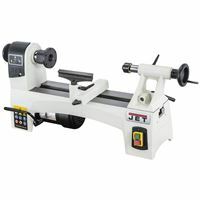 This allows a firm and stable connection to the lathe. Fully stocked JWL-1640EVS lathe provides high comfort, effective control, versatility and simple use valued by customers at home and abroad.